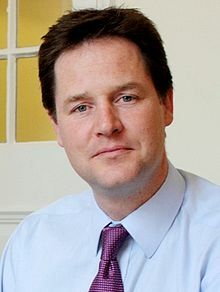 Below is the text of the speech made by Nick Clegg, the Deputy Prime Minister, at Easter on 14th April 2014. This Easter, millions of families and friends, of all faiths and none, will come together across Britain to enjoy the holiday period. For Christians, of course, Easter is one of the most important festivals of the year. Following Lent, it is a time to celebrate the resurrection of Jesus Christ and reflect upon his life and teachings. And whether you are Christian or not, I’m sure many people can relate to the messages of love, forgiveness and tolerance that Easter represents. I want to pay tribute to the millions of Christians in the UK who work so hard to put those values into action. What you do enriches our society in so many ways, whether through charity work at home and abroad or your dialogue and cooperation with other faiths across communities. And, to Christians and non-Christians alike, I hope you all get a chance to enjoy the break.